Do you dream of tapping into your individual style and making art that expresses that style? Are you looking for creative ways to use your art supplies? Do you long for colorful, collage-rich inspiration? Find quality workshops with an experienced instructor here. I am known for commitment to exceptional value, increasing your creative confidence and projects you will turn to again and again. Find my creative walkthroughs archived here. 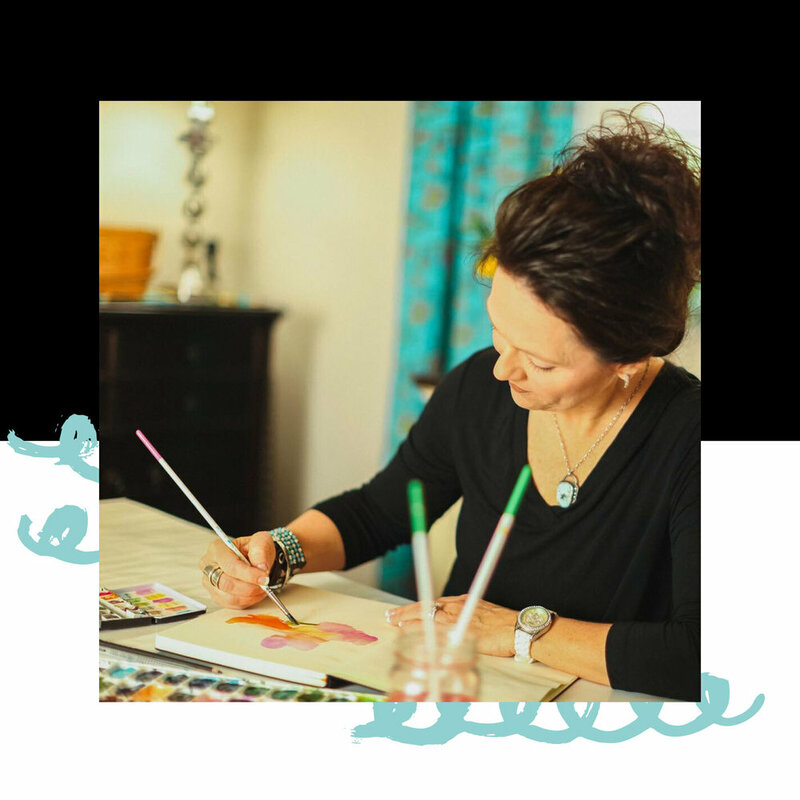 You will access creative tips, techniques and color filled projects that I am excited to share. There is something for everyone regardless of your preferred medium or experience level. Find a sampling of my favorite art pieces here. While some took minutes and some took weeks, all are created in my signature color, layered, collage laden style. "Roben-Marie is the most outstanding teacher. She is so thorough and detailed! You definitely get your money's worth and more with her classes!" 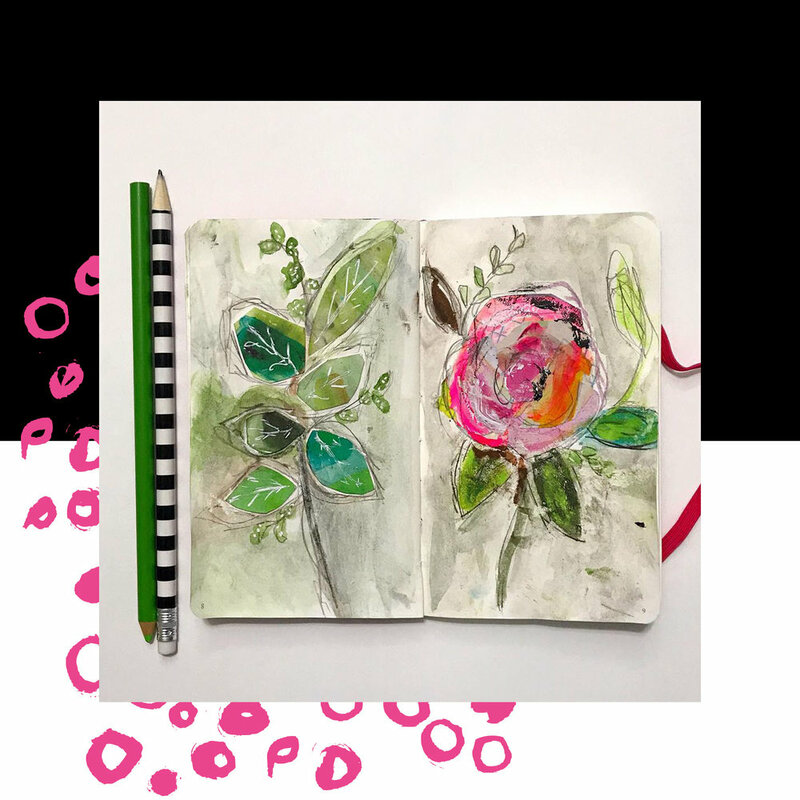 "Watching you do art, reading your blog and seeing your videos has been a real inspiration to me - you have taught me so much, and helped me learn that it is all about the process and not about perfection. Your regular contact with your followers, your amazing spirit and willingness to share and engage is truly inspiring." "I personally appreciate the great pricing you have on your workshops. It appears that you have all the latest equipment for making these beautiful instructional videos and the sound quality is excellent. The hours of planning, and yet you offer such great projects at such an affordable price that I never hesitate to purchase. I'm never disappointed!" "All your workshops are so very well done. As a career teacher, I know an outstanding teacher when I see one. Thank you for sharing your talents in such a professional, non-threatening style." 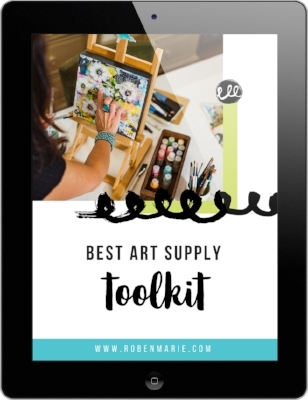 Curious about my favorite art supplies? Please check your email, confirm and grab your freebie download!